Just an hour from Geneva Airport, the Chamonix Valley is easily accessible and has a large number of good hotels and restaurants located throughout the 15km long valley stretching from Les Houches to Argentiere. There are many activities to take part in – whether just wandering through the town or paragliding from the top of a mountain. Dubbed ‘the Adventure Capital of Europe’, it is great place to spend a few days and admire the huge mountains of the Mont Blanc range. 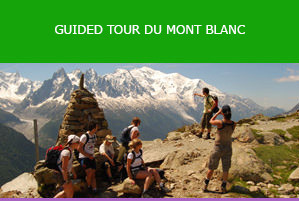 Mont Blanc is the highest mountain in Western Europe – 4,808 m/15,777ft above sea level. It was first climbed in 1786 by Jacques Balmat and Michel Paccard. Since then it has had thousands of ascents and each year mountaineers come to climb the peak by one of several routes. Chamonix is home to a lot of famous climbers and many become Mountain Guides taking their clients climbing throughout the Mont Blanc range. If you are not intending to climb to the summit you can ride the Aiguille du Midi cable car that gives you superb views at 3842m of Mont Blanc, the surrounding peaks and all along the Alpine range. Chamonix is a year-round mountain resort. In the winter it attracts skiers from all over the world who come for the challenging off-piste ski mountaineering routes. In summer the weather is warm and people come to take part in walking, hiking, mountain biking, climbing, white water rafting and paragliding. Chamonix and the Mont Blanc massif offers some of the best trekking in the world, from gentle day-walks to tough multi-day treks. 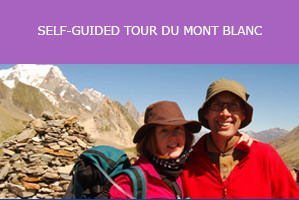 Our hikes take us through thick conifer forests, high Alpine meadows and over rugged cols. 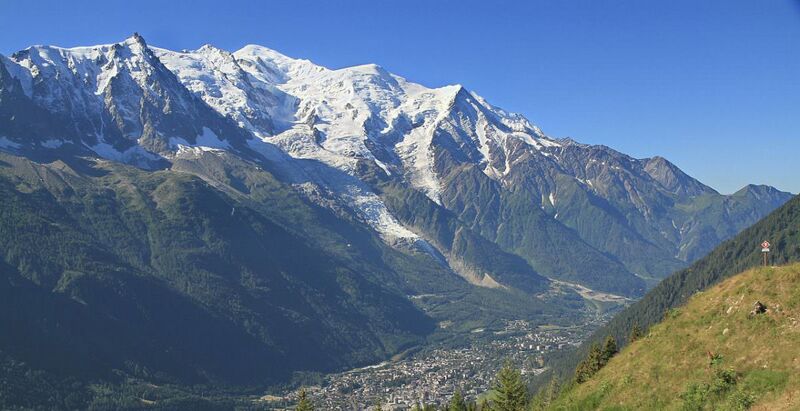 There are breath-taking views of snow-clad peaks, tumbling glaciers and the soaring granite spires above Chamonix. On any hiking route you will see a variety of views of Mont Blanc and the surrounding peaks, such as Mont Blanc du Tacul, Mont Maudit and the great spire of Les Drus. Early in the season there are brightly coloured Alpine flowers and it is not unusual to see marmots, chamois and birds of prey. There is a huge range of hotels to suit all tastes and budgets from small bed and breakfasts to five-star hotels with swimming pools and restaurants. Salamander Adventures stay at a three-star hotel in Les Houches with a garden and swimming pool. There are a range of restaurants in the Chamonix Valley offering classic French dishes, local Savoyard specialities and fine dining. There is a strong café culture spilling out on to the pavements and squares where you can enjoy coffee with Mont Blanc as your view. In recent years there has been an increase in the number of specialist patisseries selling classic French pastries, tartes aux fine, mille-feuille and macarons.